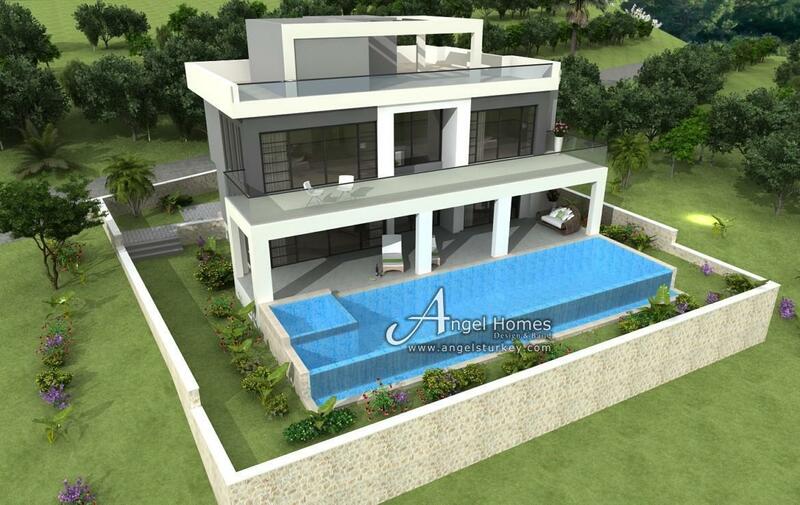 This villa is one of 5 off plan properties that Angel Homes are building in beautiful Faralya. 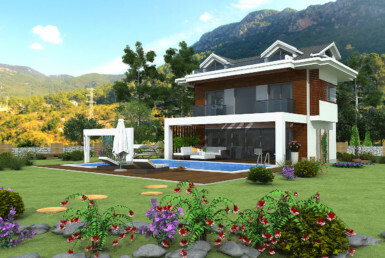 Faralya is paradise on earth, with its abundance of flora and fauna, it has a truly natural feel, and is one of the most spectacular locations in Turkey. 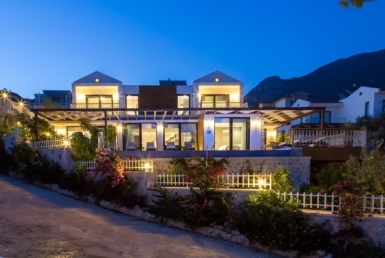 This villa has breathtaking views and a real feeling of calm. 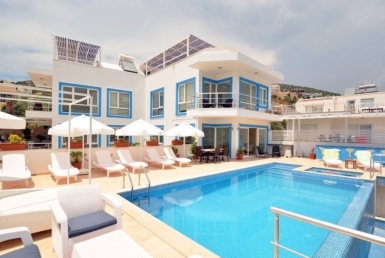 The nearest centre is Oludeniz and is a short drive of just 15 minutes, famous for its Blue Lagoon and World Class Paragliding. 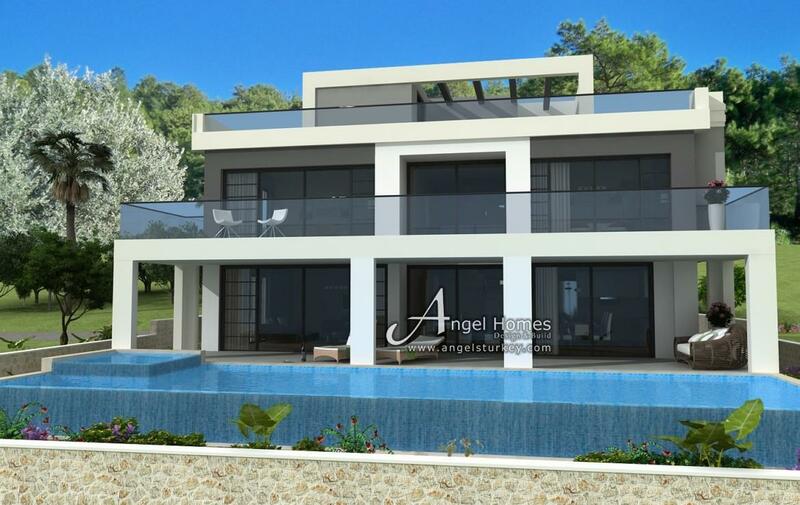 This villa is one of 3 which will have uninterrupted sea views and surrounded by natural beauty on all sides, with the sea at its front and the forest at its back. 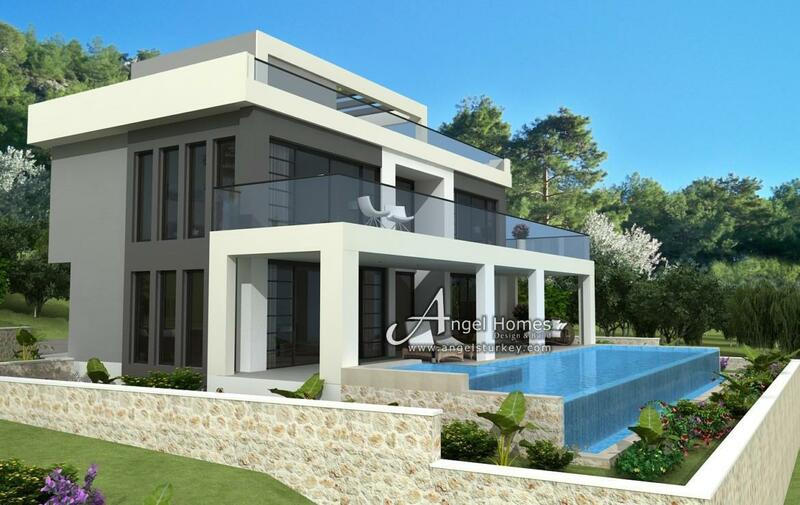 The villa will have an impressive 200m2 footprint which will give ample room for its open plan living, 4 bedrooms and 4 bathrooms. 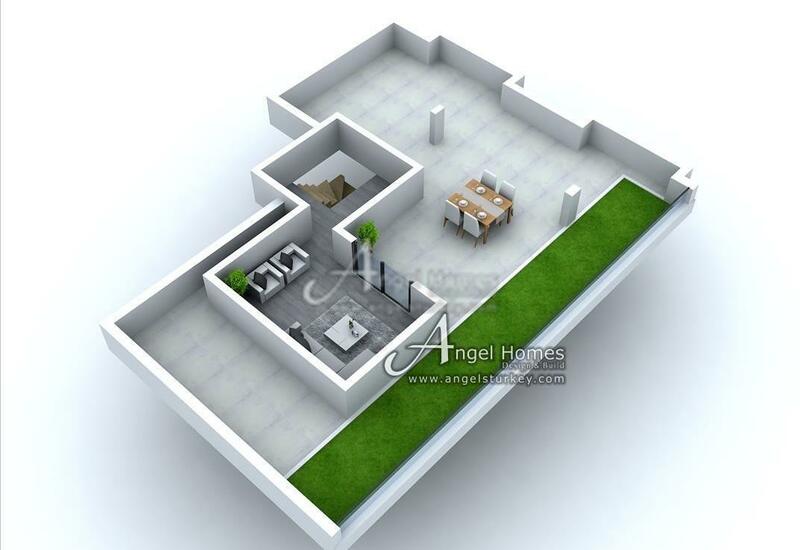 You will enter the property on the ground floor where you have choices. 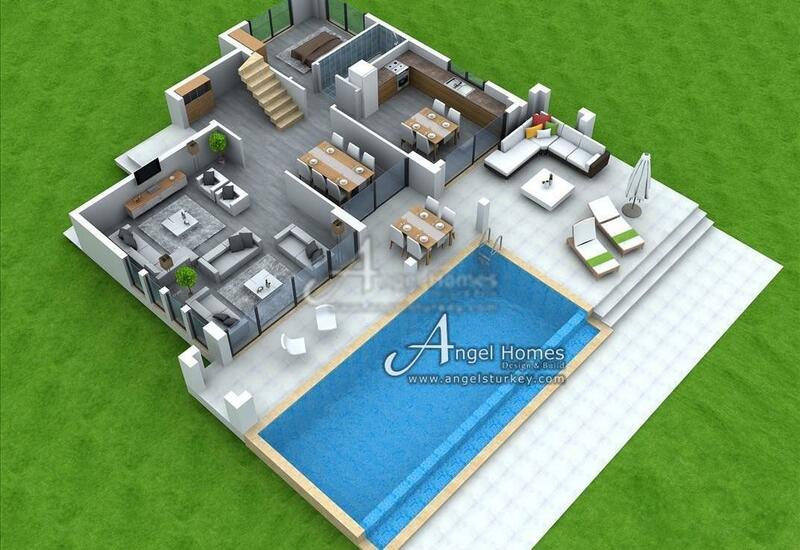 You can either have separate kitchen and living area or open plan living. 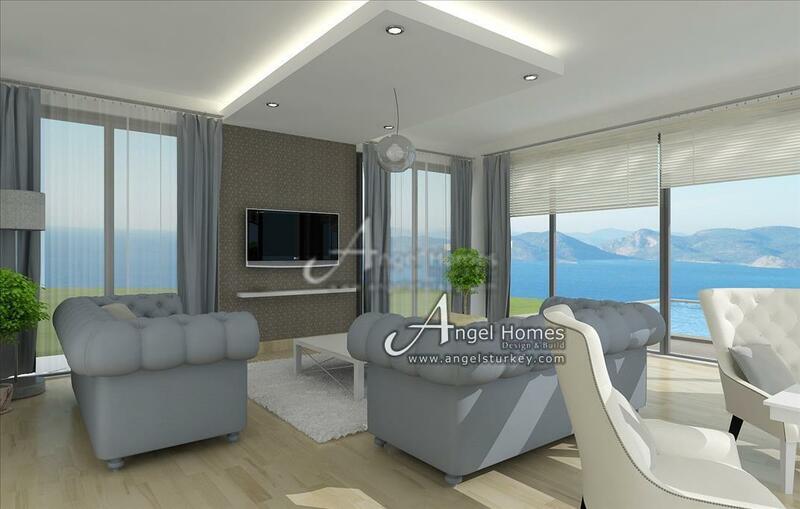 The living space, whichever way you choose to configure it is an impressive 100m2. 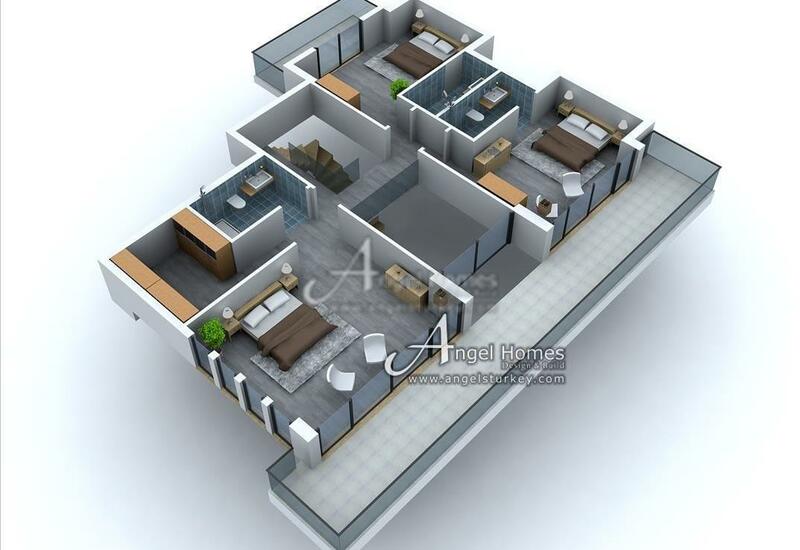 Also on this floor is the added bonus of a ground floor bedroom, or office if you wish, alongside a shower room, perfect for any guests with disabilities. 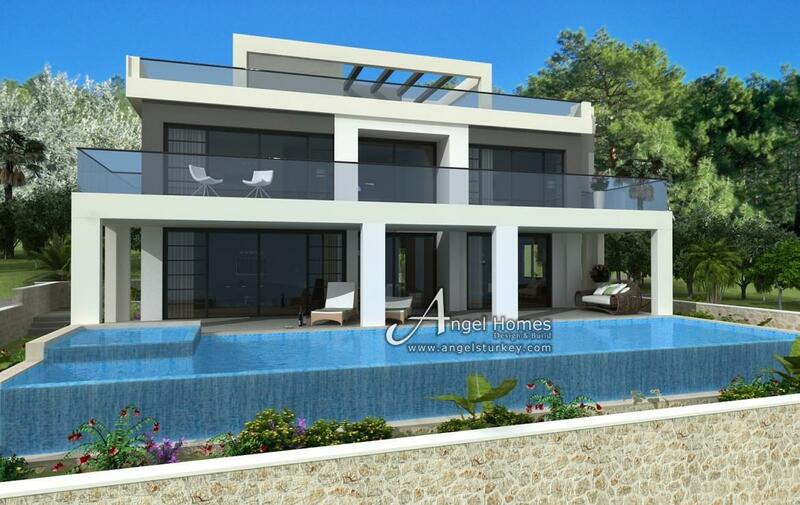 Large glass double doors then lead to the amazing infinity pool and gardens via a large terrace, from where you can watch the horizon. 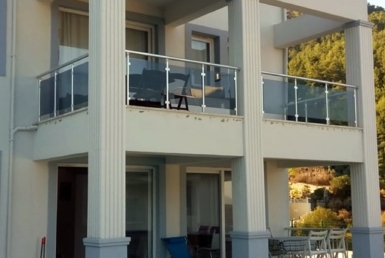 The next level is home to the bedrooms all with en-suite facilities and private balconies. There is also a seating area on the landing with open gallery which looks down to the floor below giving a feeling of space and tranquility. 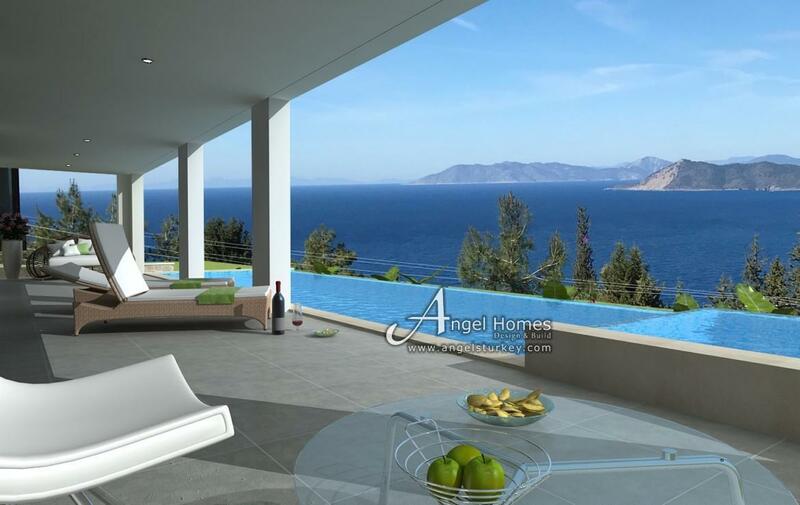 To take full advantage of the sea views, the next level is a roof terrace that covers the whole of the top floor. This is the perfect location for entertaining, catching the magnificent sunsets and surrounding beauty.